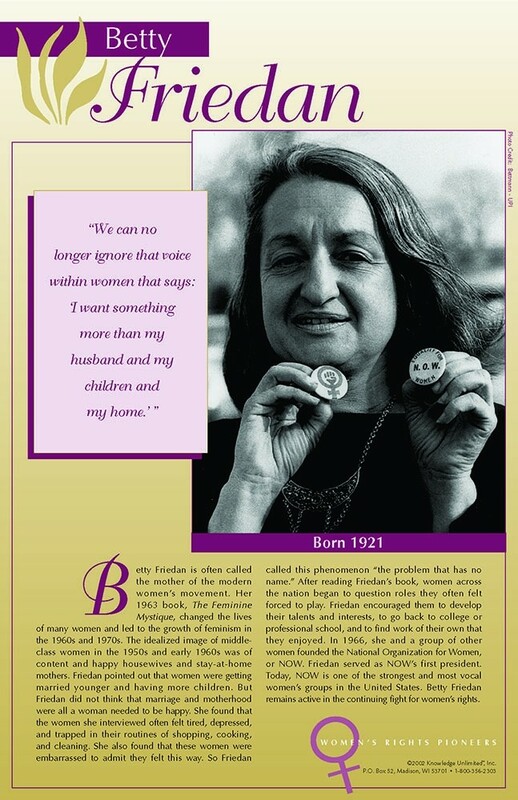 This poster of Betty Friedan features a photo, a quote, and a brief biography that talks about her life and activism as one of the leaders of the women's rights movement in the 1960s and 1970s. 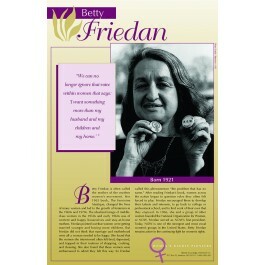 Betty Friedan is often called the mother of the modern women's movement. Her 1963 book,"The Feminine Mystique," was one of the most influential books of its time and led to the growth of feminism in the mid-20th century.